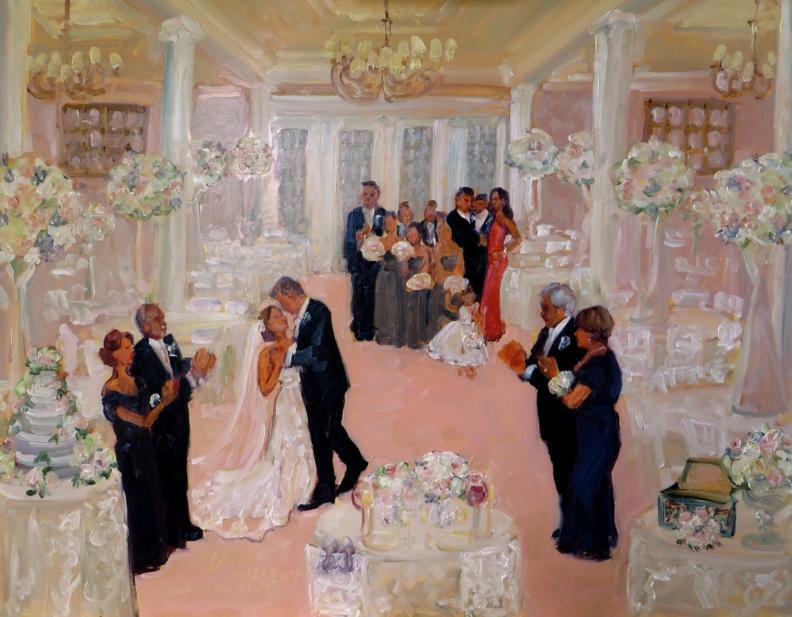 Let me paint your wedding while it is happening to always remind you of your special day ... and be original art in your home enjoyed for generations to come. It can be a unique family portrait, with the people you love celebrating the start of your new life. 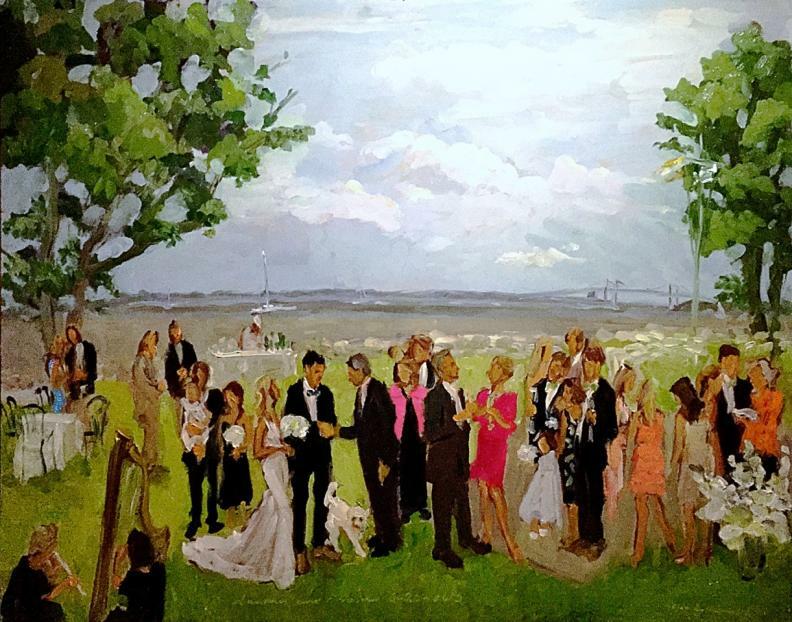 We will discuss the painting opportunities, how I can get the best view to capture the elements and people you would like to have in your painting and the size and shape which will work best for you.. Then I will do some research and come up with ideas to share with you what I am thinking. 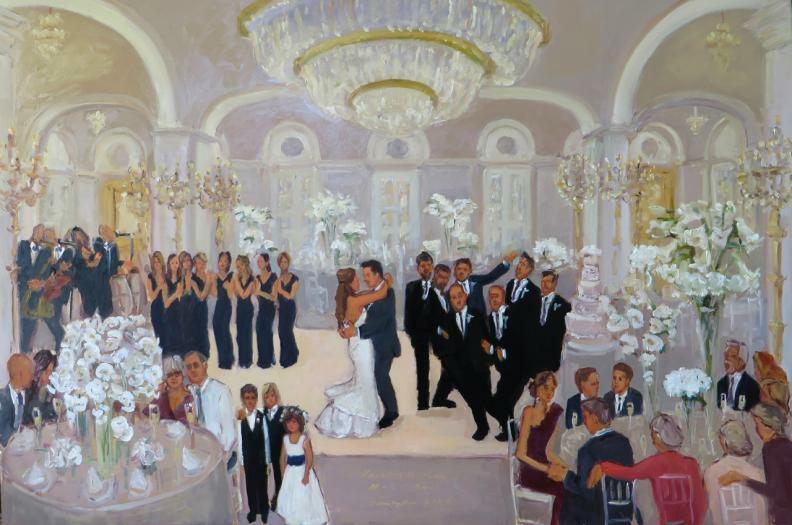 If your wedding has already taken place, or if I am unavailable to paint on your wedding day, I can work from your favorite photographs afterwards to create a unique and treasured heirloom for you, putting your favorite people and details into the same picture. It will not be a copy of a photograph but an original composition in my modern impressionist painterly style. 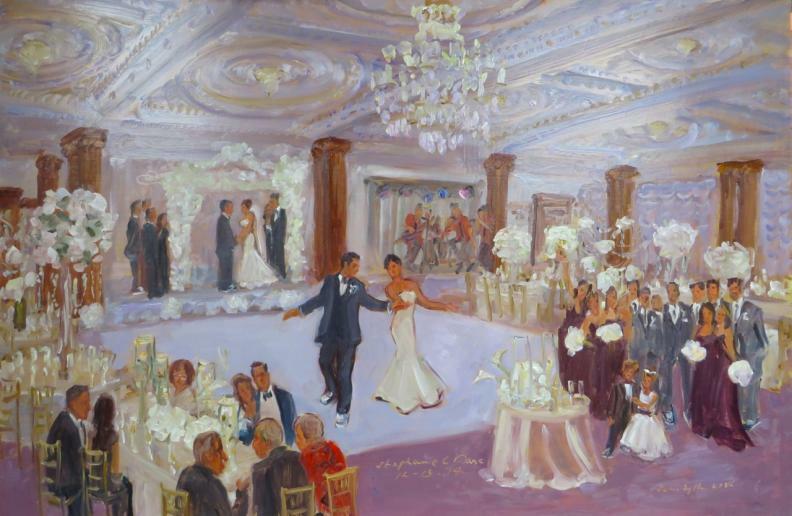 Your wedding painting can be 18x24, 24x30, 24x36, 30x40 ... or even bigger. 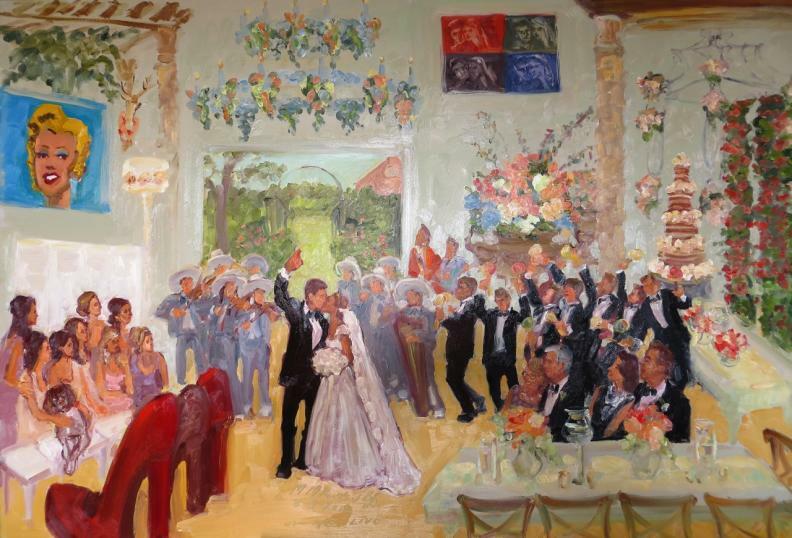 The largest live paintings I have done so far have been 48x72 inches, both for Mercedes Benz. 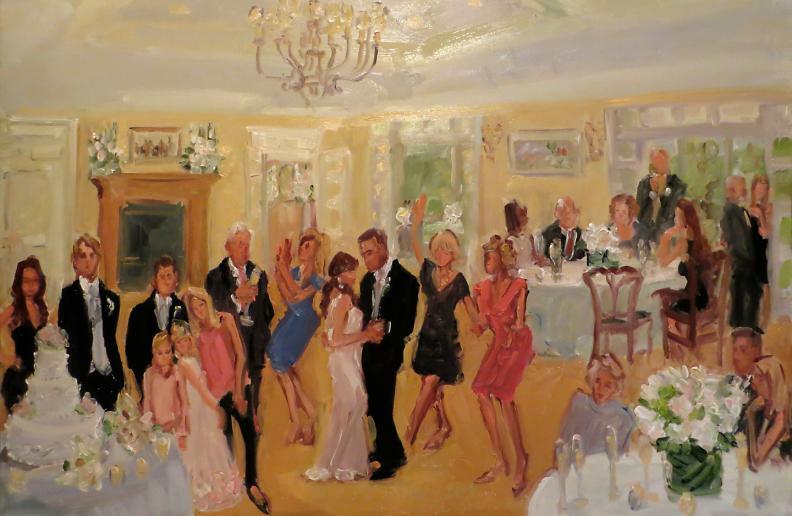 In additIon to the Principal Wedding Painting, I may be able to do smaller paintings as gifts - such as the Father Bride Dance. I am also asked to paint family portraits while everyone is in town at the same time.